Top 20 Essential Oils which are great to have on hand. Essential oils can be used for a variety of purposes. Some of the benefits include elevating your mood, warding off illnesses, pain relief, calming stress & anxiety, and general relaxation. When it comes to essential oils, the sky is the limit. 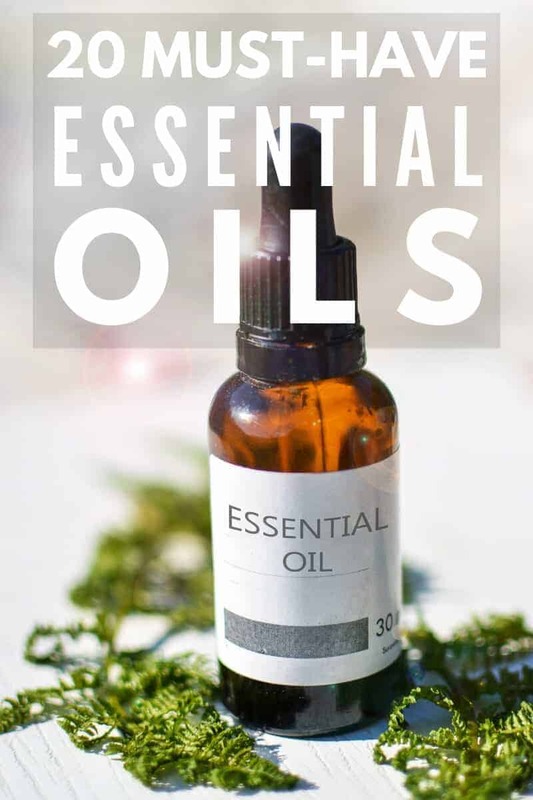 So whether you are looking for the best essential oils for your skin or for better sleep, you can be sure there is an essential oil for you! There are so many ways to use them at home, but one of the easiest ways is by using diffusers. They are great for getting your essential oil into the air. 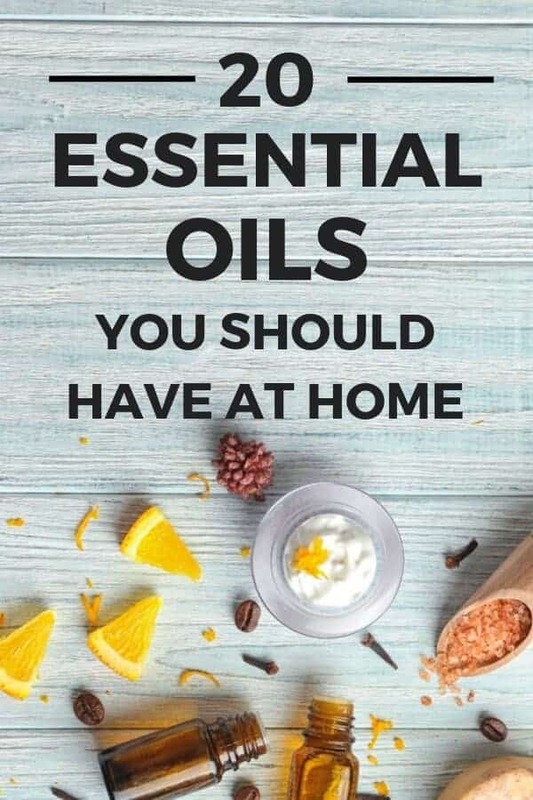 So here are the top 20 must-have essential oils you will want to have at home and why! Lavender oil is one of the most popular essential oils. Lavender’s aromatherapy can help reduce levels of cortisol, the stress hormone, in the body. And this aids in relaxation, better blood circulation and help you sleep better. This essential oil is also popular for providing fast relief when you have a sunburn. Buy Lavender Essential Oil Here. Tea tree oil is great to have on hand for adding to vinegar and using the mixture to clean your home. It is antiviral, anti-fungal, antiseptic and antibiotic. 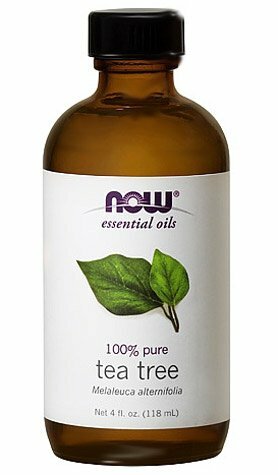 Buy Tea Tree Essential Oil Here. Chamomile oil is great for relaxation. Roman chamomile is more gentle than German chamomile, so it can be used for young babies and is often used in homemade diaper spray solutions to soothe diaper rash. 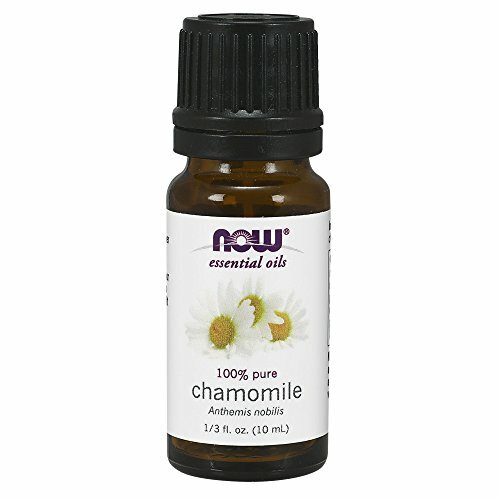 Buy Chamomile Essential Oil Here. Eucalyptus oil helps support respiratory health. Those suffering from asthma, bronchitis and even the common cold can benefit from diffusing this or applying it topically in diluted form. Buy Eucalyptus Essential Oil Here. Lemon oil is a great antibacterial and anti-fungal oil. If you are coming down with a cold, rub it in the palms of your hands and inhale. You can even add several drops to your load of laundry to help disinfect it. Frankincense oil is great for the skin and is often used in homemade facial creams. It can be applied topically to swollen areas and used as an anti-inflammatory. 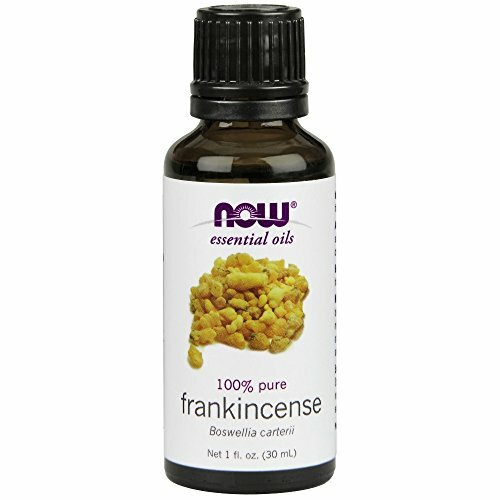 Buy Frankincense Essential Oil Here. Peppermint oil can soothe sore muscles and relieve bad breath. It can also be sprinkled around the doors in your home to deter ants from entering. Clove oil has antiseptic properties and can be used to relieve tooth pain while you are waiting for an emergency dentist appointment. Buy Clove Essential Oil Here. Grapefruit oil is a detoxifier and can be diluted and applied to cellulite-laden areas of the body to help release toxins from fat cells. Buy Grapefruit Essential Oil Here. Ginger oil helps relieve nausea. It can also be diluted and applied to painful areas in order to experience relief. Buy Ginger Essential Oil Here. Ylang ylang oil has a beautiful smell and is often used as a natural perfume. It also benefits relaxation and healthy skin. Buy Ylang Ylang Essential Oil Here. 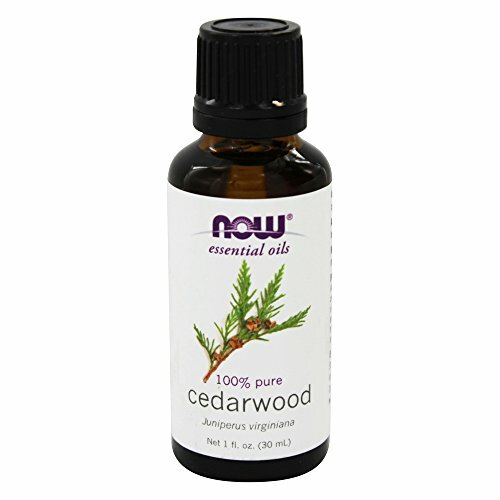 Cedarwood oil can be used to clarify the skin and is a repellent for ticks, flies, and gnats. Buy Cedarwood Essential Oil Here. Citronella oil is a well-known mosquito repellent, but can also treat fevers and headaches. Buy Citronella Essential Oil Here. Lemongrass oil is a common insect repellent, and can also help with digestive issues. 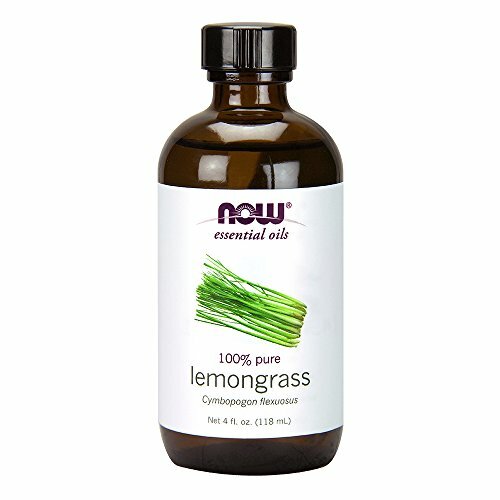 Buy Lemongrass Essential Oil Here. Geranium oil is great for the skin and also helps balance hormones. Buy Geranium Essential Oil Here. Orange oil helps circulation and can also be used when cleaning your home, as it is not harsh and damaging to surfaces. Buy Orange Essential Oil Here. Lime oil is beneficial to diffuse when you need to stay alert. It can be added to shampoo to prevent scalp issues such as lice. 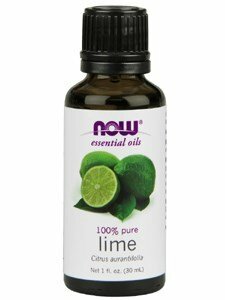 Buy Lime Essential Oil Here. Rosemary oil has become the go-to oil for hair growth, by adding it to a carrier oil and applying it to the scalp. Myrrh oil is great for skin health and also fights and protects against parasites when ingested. Buy Myrrh Essential Oil Here. Thyme oil is used for respiratory health and is antibacterial, which makes it great for use when fighting illness or cleaning the kitchen. Buy Thyme Essential Oil Here. If you could only purchase twenty essential oils, these would be the ones you should invest in. They promote health, cleanliness and work together to cover a great variety of everyday needs. Start with a few, and build your collection as you find yourself using them more and more. Looking for more Essential Oil Tips? Check these out! Like to improve the air quality in your home? Try these 4 Essential Oils. Stress levels through the roof? Give these 5 Essential Oils a go. Here is a collection of the best Essential Oils for Acne. If you found these top essential oils useful, please share on Pinterest!